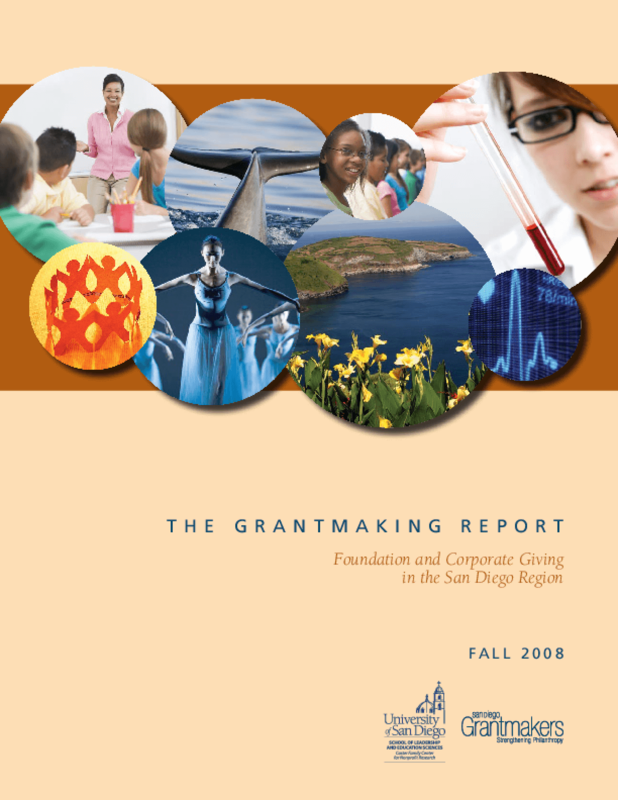 This report is a collaboration between San Diego Grantmakers and the Caster Family Center for Nonprofit Research. The overriding questions that this research leads us to ask are how can our community leverage our growing philanthropic resources, inspire more giving (both locally and nationally), and be strategic in matching community needs with community support? The Caster Family Center for Nonprofit Research is housed in the Institute for Nonprofit Education and Research. Copyright 2008 University of San Diego Institute for Nonprofit Education and Research. All rights reserved.